In April, James and me made it five years whole years of tolerating each other's company so to celebrate we decided to book a spur-of-the-moment trip to Rome so that we could spend our 5th anniversary eating pizza from in its home country rather than out of a takeaway box like we usually would. We can be pretty ROME-mantic when we want to be... totally not sorry for that pun! 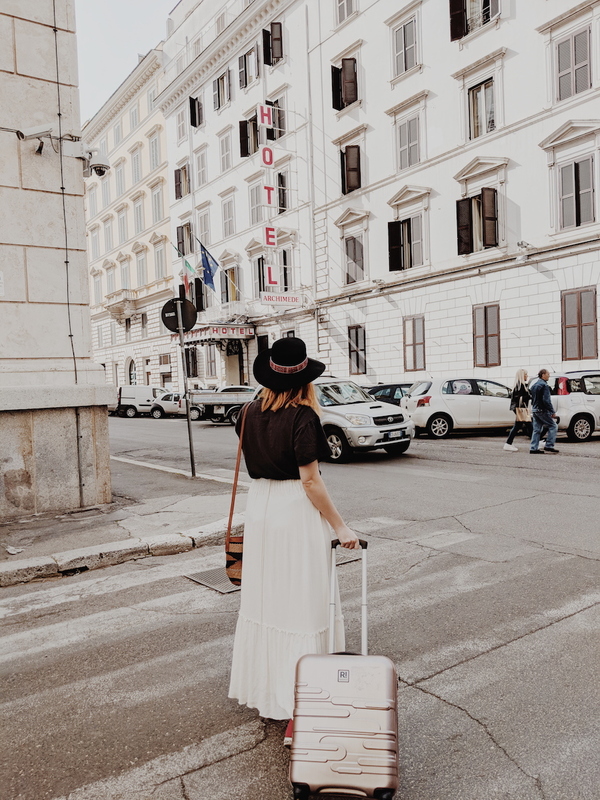 We spent just over 3 days in the Italian capital so I thought I'd pull together a small city guide on what to see and do when you're there! 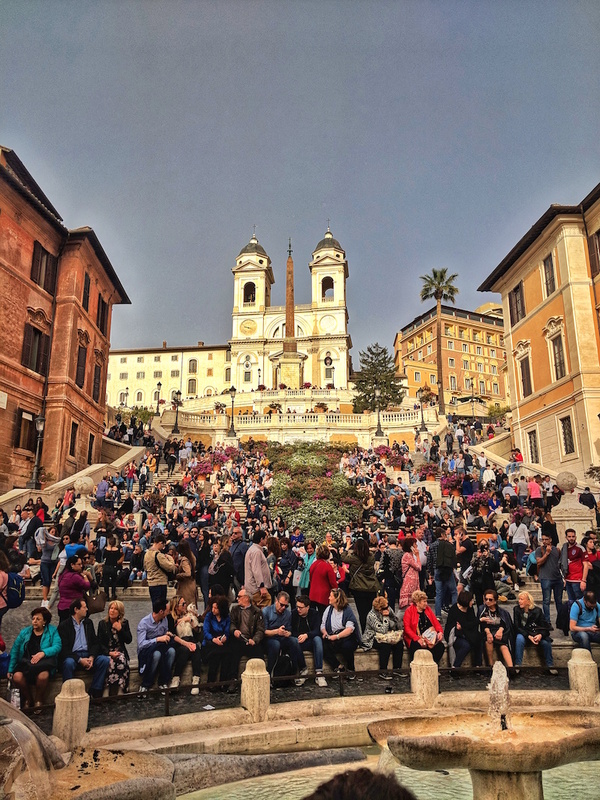 I had visited Rome many moons ago but for James, it was his first time, so we did pack in a lot more touristy activities rather than off-the-beaten track options simply because the tourist sights in Rome are absolutely spectacular and definitely worth seeing. 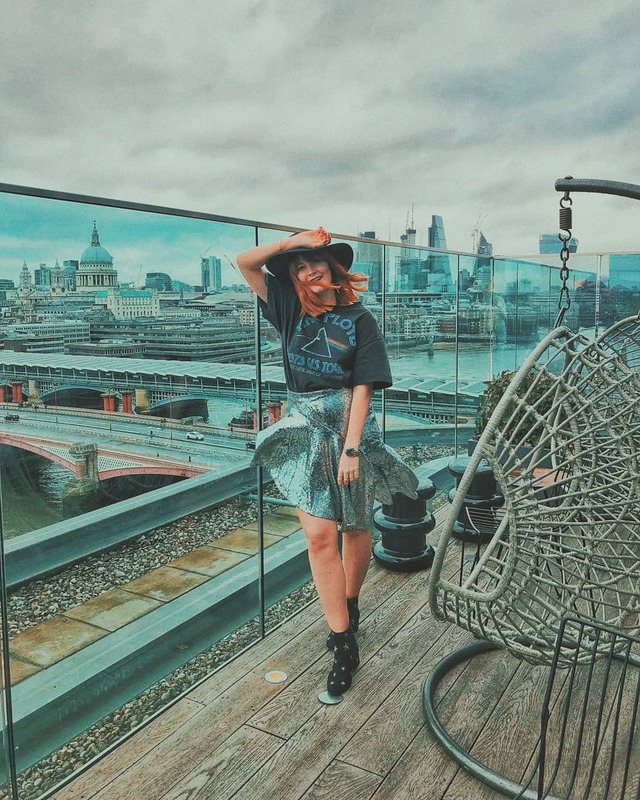 We booked our flights reasonably last minute around three weeks before our trip and we managed to get a return trip over a long weekend for just over £60 each with Ryanair from London Stansted. Rome has two airports but we flew to Rome Ciampino, which is the smaller of the two and is frequented by more budget airlines. When I say it's small, it is literally tiny and easily the smallest airport that I've ever flown from! Rome Ciampino is approximately a 30 - 40 minutes drive to the city city (dependent on traffic) and there are plenty of shuttle buses that take you to the main Termini station for approximately €5-6 each way. We opted for a Terravision transfer bus but did have a pretty bad experience with them on the way back where we nearly missed our flight! However, there are plenty of bus companies to choose from when you enter the arrivals lounge and they're all roughly the same price. Yep - you did hear me right! During our 5-year anniversary we stayed in a hostel. 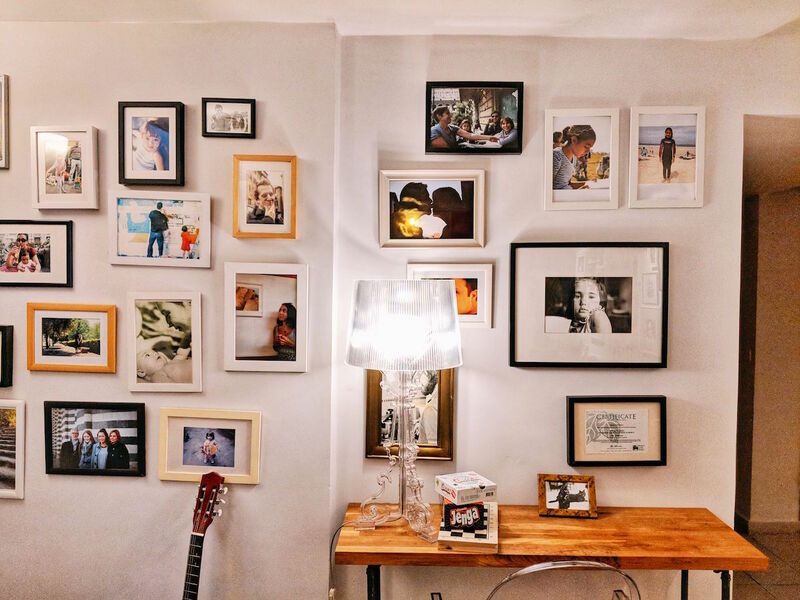 We've always tended to stay in apartments or in hotels on our previous trips but before our trip to Rome we decided to consider the option of a hostel and that's when we discovered The Beehive. The Beehive isn't your regular, run-of-the-mill party hostel, oh no. 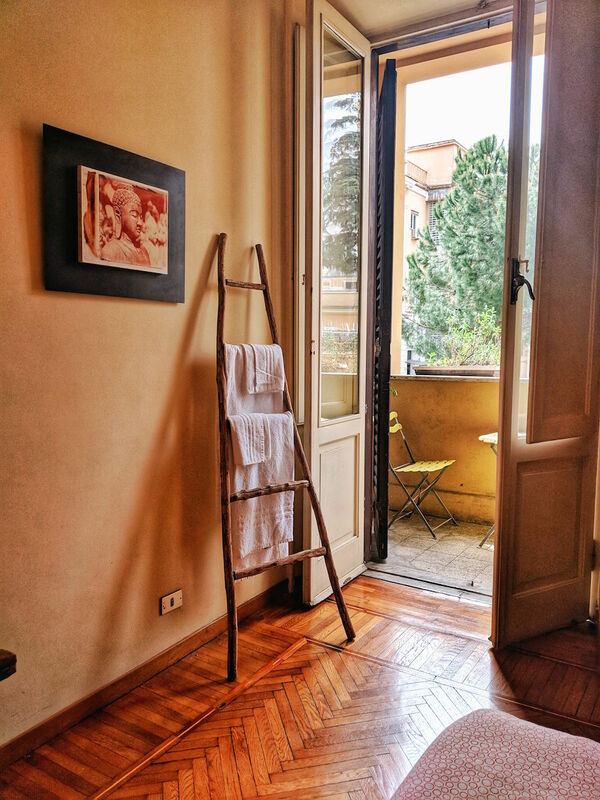 It's a wonderfully, quirky and charming little retreat for travellers to feel at home in the eternal city. The hostel was founded back in 1999 by Linda (who is bloomin' lovely, by the way) and Steve; after falling in love with Rome on their honeymoon, they decided to up sticks and set up a hostel with their two cats. If that charming story alone doesn't make you want to book a stay instantly then I don't know what will! The Beehive is more than simply a hostel because as well providing beds for travellers, it also hosts a range of events and activities including yoga workshops, storytelling sessions and they even have a resident masseuse that you can book in with! 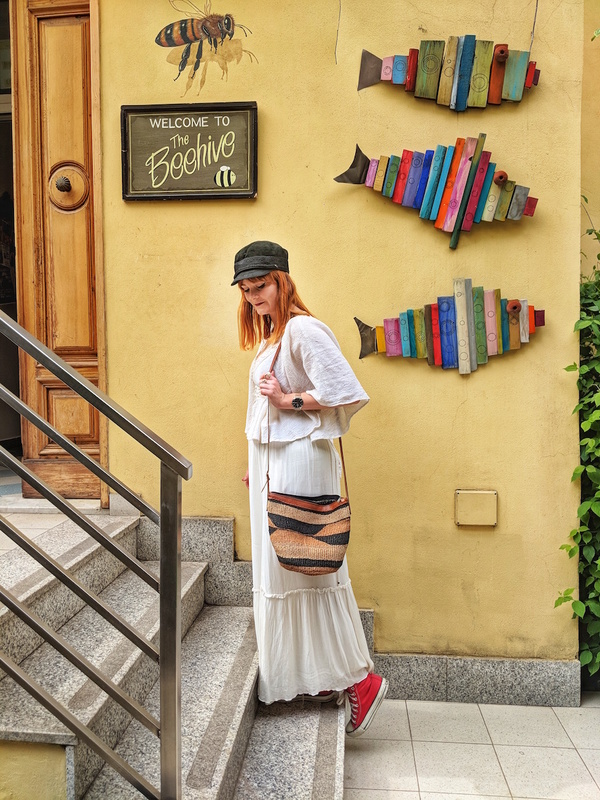 There is a wonderfully, contagious community vibe at The Beehive that will make you feel instantly at home in the Italian capital. 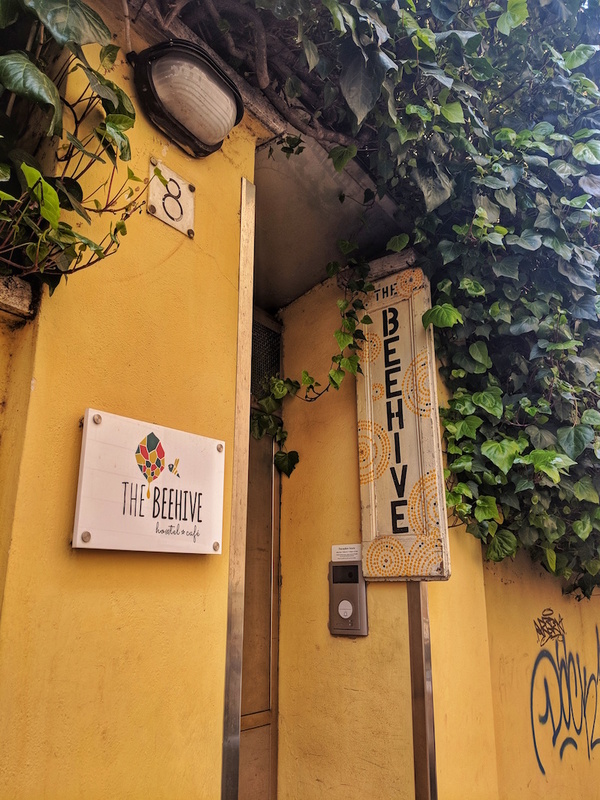 If you've been before you'll know that Rome is a rather hectic city but The Beehive is a tranquil oasis right in the centre of the chaos that is the perfect place to retreat to if the city begins to overwhelm you. 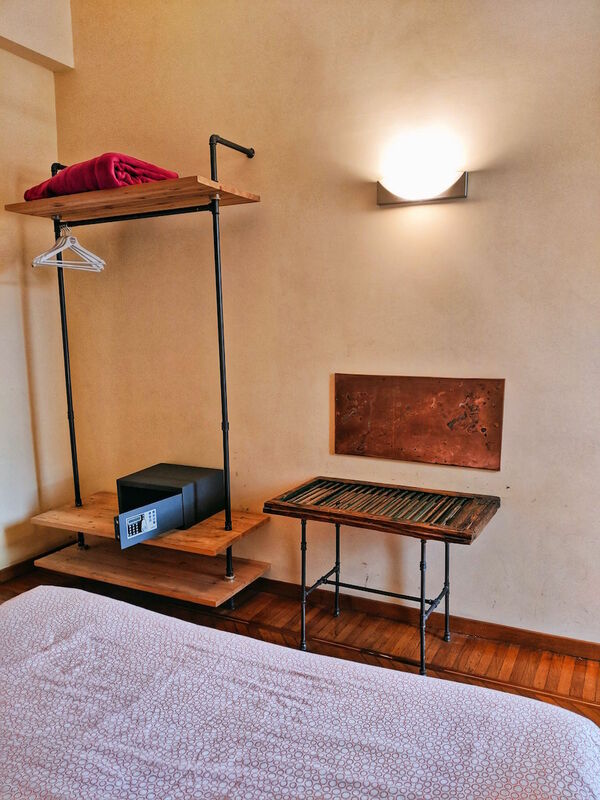 The location of the hostel couldn't be more convenient as it's located just a few minutes stroll from the Termini station, which is where most airport transfers will drop you off. Now, when you mention the word 'hostel', the typical association that comes to mind are the shared dorm rooms with other travellers. However, The Beehive has a fair number of private rooms that are suitable for couples or even families on a budget. We stayed in one of their private rooms in 'The Sweets' (located in a building separate from their main reception and rooms) with our own dedicated private bathroom. The building was shared with a few other private rooms and an all-female shared dormitory but the only communal space we had to share with other travellers was the kitchen & common area. Our room was bright and cheerful with The Beehive's signature yellow walls and hip, recycled furniture, including an old window shutter that had been repurposed into a luggage rack. We were even fortunate enough to have our own small balcony with a table and chairs that was perfect for sitting down in the evening and enjoying a glass of wine. Despite being in Rome for a couple's getaway, James and myself are pretty social travelling when abroad and often find ourselves spending our evenings making new pals from across the world. At The Beehive, we still got to enjoy that social-driven hostel community vibe whilst having our own privacy by being able to retreat to our bedroom. 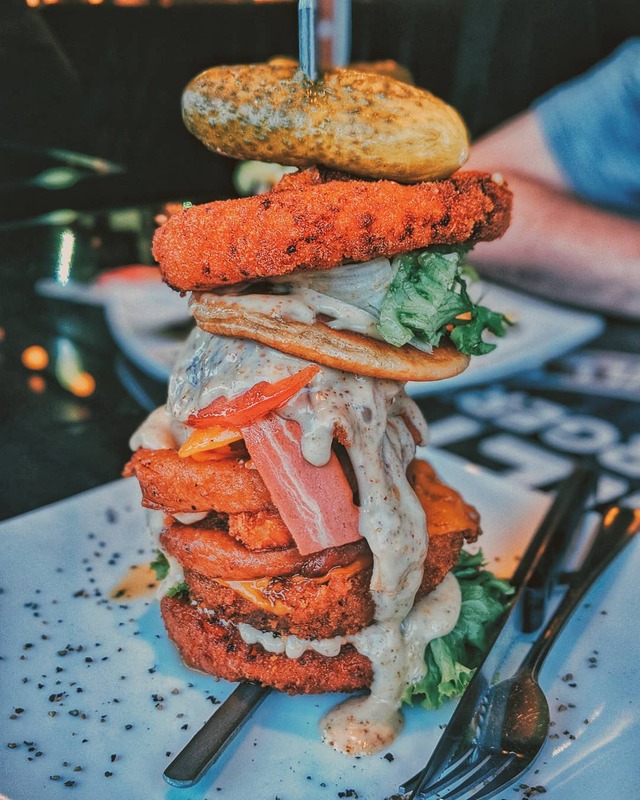 Another reason that The Beehive appealed to us instantly is the fact they have a totally vegetarian and vegan-friendly café that serves breakfast every morning between 7:30am to 10:30am, plus it's environmentally conscious - it's as if this place was made for us, right?! The café is situated right beside a common area that is adorned with portraits that are snippets into Linda's and Steve's life story. This little personal touch really makes the hostel feel so much more like a home. If you're looking for an affordable place to stay where you're guaranteed a warm welcome and full of charm then The Beehive is definitely for you! 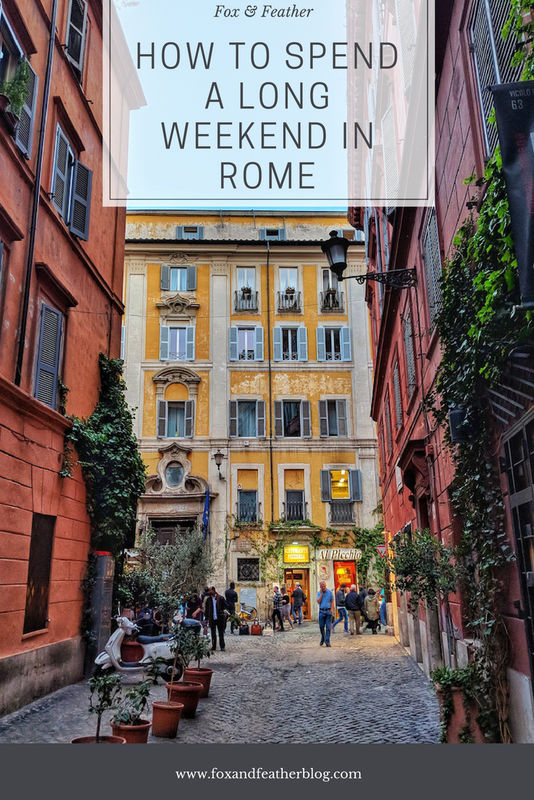 Rome is a city that is steeped in history and you could easily spend a weekend dwindling around the streets of the city in awe at the magnificent buildings and ancient ruins that transport you back in time but there are a few notable points of interest that you should definitely have on your 'to see' list. 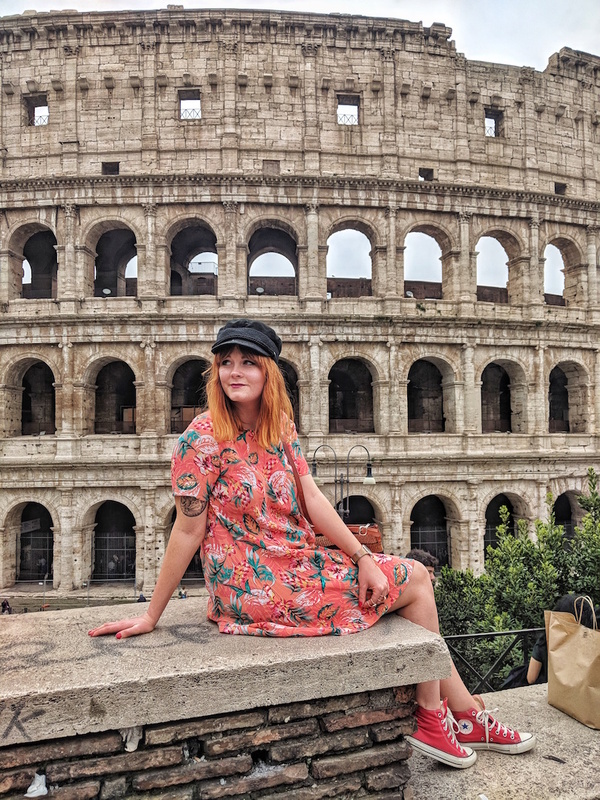 It goes without saying that a trip to Rome isn't complete without stopping by the iconic, ancient amphitheatre that is the Colosseo (Colosseum), which is most well-known for its gory history during ancient Roman times. We took a guided tour with The Roman Guy to explore inside the Colosseum (which I'll be covering more in depth in a near future, dedicated blog post) but you can turn up and purchase an entry ticket on the day. However, if you do decide to turn up on the day then you should be prepared to wait as the queue tends to stretch for a couple of hours every day. The Colosseum allows a maximum of 3000 people inside at any one time and as soon as it reaches this capacity they close it off for a while until it empties out again, which does lead to extensive waiting times. If you're not a fan of hanging around then I definitely recommend pre-booking a tour to skip the queues. After you've explored inside the Colosseum, your pass allows you access to wander ruins of the Roman Forum and climb Palatine Hill too. The views from the hill are some of the best in the city and the Forum boasts the grandiose remains of a life that once was in the city. You cannot deny that Italian food is some of the best in the world; pizza, pasta, tiramisu, lasagne, arancini, risotto... the list goes on! 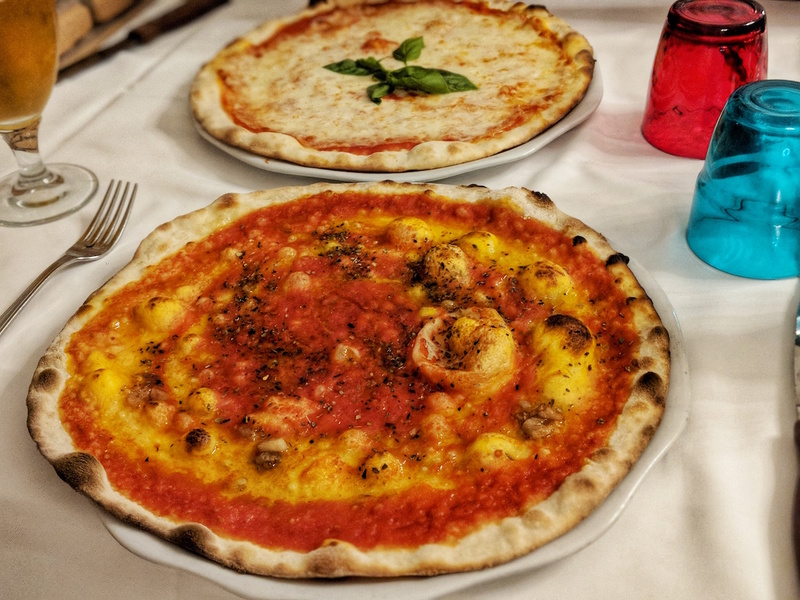 If you're visiting Italy then it's highly likely that one of the priorities for your visit is to indulge in the local cuisine and you will not be disappointed. Traditional Italian restaurants and trattorias are found on every corner and you'll always never fall short of a gelateria boasting a never-ending selection of flavours. Trattorias are a lot less formal than a ristorante (restaurant) and tend to be much more affordable as the service is more casual, wine is sold by decanters rather than bottles and they're often family-run businesses. Whilst the food is humble, it's often plentiful as with most Italian dishes and we found it to always be delicious. The price we paid for a pizza in a trattoria in a touristic spot was around €7 or so. Obviously, I visited Rome as a vegan which you can read more about in my upcoming Vegan Guide To Rome. Originally, I was expecting Rome to be a bit of a struggle to eat vegan as most Italian dishes are based on either cheese or meat but with a little research I managed to find some incredible vegan food there! In all honesty, the best way to take in the sights of the city is simply to walk as far as your feet can carry you. Plan out a rough route on a map beforehand and simply let your feet take you on a tour of the city. 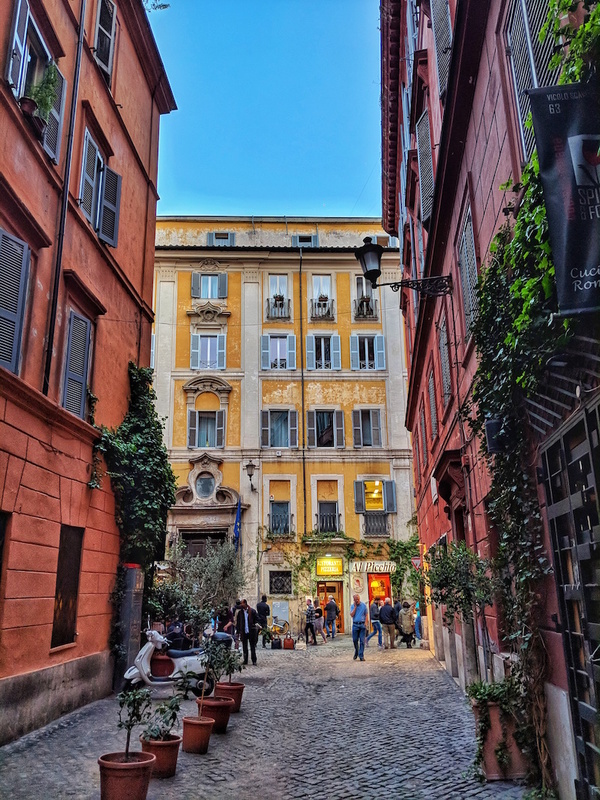 There's so much to see around every corner in Rome that you won't find yourself bored of just walking at any point. In fact, you're likely to stumble across hidden hotspots that you may not have even planned to come across. For example, one night we decided to let our feet guide us back to our hostel and we happened to stumble across the Trevi Fountain in all its glory when we didn't even expect it! Be sure to keep your camera to hand as there'll be plenty of photo opportunities to be had! My in laws have planned a special anniversary trip to Rome later this year. I will have to get them to take a read of this. 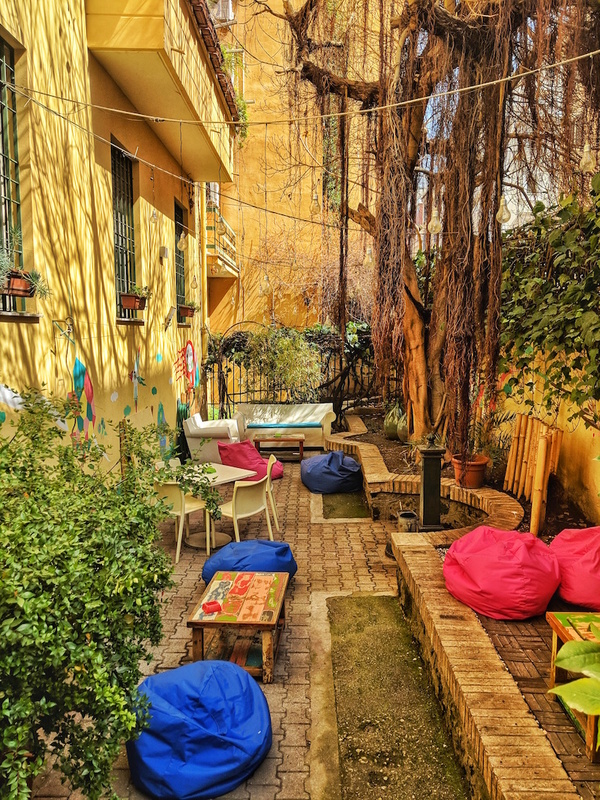 That hostel looks just gorgeous, such a lovely little oasis in the city! 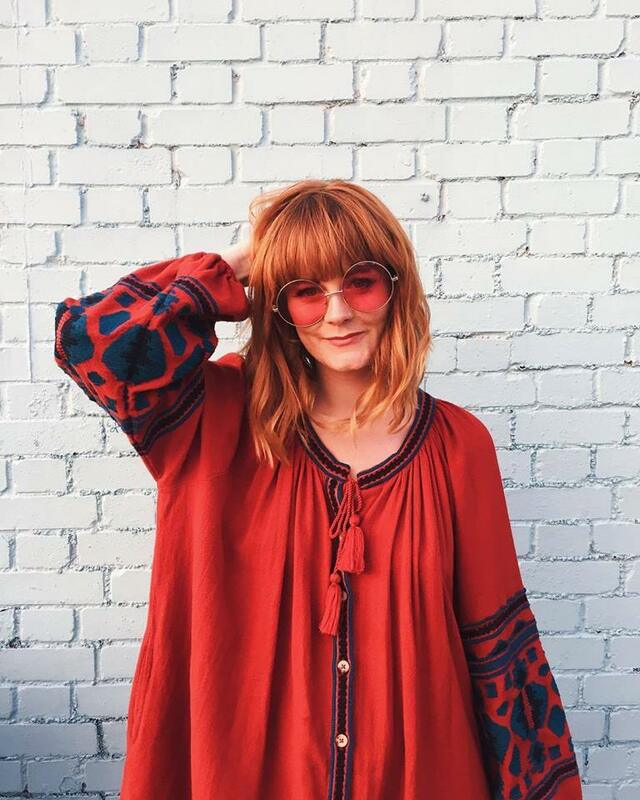 We're going to Rome next year, I'll eagerly await your post about eating vegan in the city! I miss our weekend getaways with my hubby and Rome used to be our favourites! The Beehive looks so cool! Maybe next time. I'd love to visit Rome - it would never occur to me to look a booking a hostel though. It looks like it provided you with the perfect base.